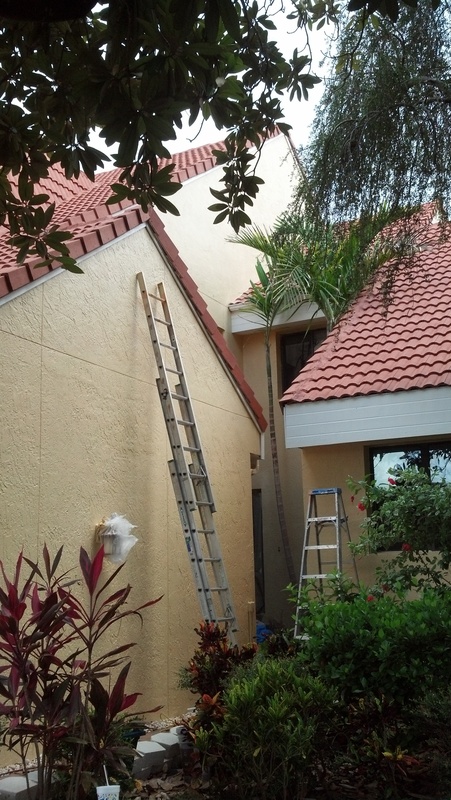 Once the exterior surface is free of molds and dirt we caulk any cracks and apply our sealer. The sealer we use dries very quickly and provides a prepared surface for the paint to bond with. Our crew utilizes airless paint sprayers to apply the paint, while a crewman back-rolls the paint. This insures that the paint is spread evenly and coats the texture properly. The trim work is primed and then rolled with a peanut roller. The front door is removed and all hardware is taped up for painting. Two light coats are sprayed in a cross-hatching pattern. Interior house painting always starts with preparing the room. This means all furniture a nd belongings are moved and or covered with tape and plastic. Once the rooms are prepared and completely covered with drop cloths we start the wall prep. Your walls will be wiped down and all nail holes and imperfections repaired. Once the patch work is complete, a dedicated primer is applied to the walls and ceiling. 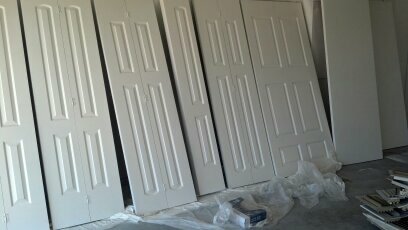 All trim work and baseboards, doors and closets are sprayed first with an airless paint sprayer. Our crew will then spray your ceilings and closets including the garage walls. The final step with our interior house painting process is to either spray or roll your interior walls with premium paint. 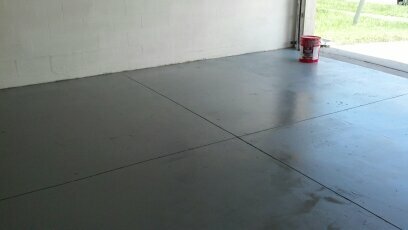 Last portion of the Peerless house painting Valrico process is to epoxy coat the garage floor. The floor must be prepared correctly for this coating to perform properly. An acid etching process us utilized to remove dirt and grime. This will also open up the concrete for the epoxy to bond. Two coats rolled in a cross hatching application will ensure total coverage.